Somalia’s new national government continues to make slow but steady progress in bringing the southern and central parts of the embattled nation under unified rule. An important step was taken on December 1 when the Sufi Ahlu Sunnah wa’l-Jama’a militia officially joined federal government forces. The Ahlu Sunnah wa’l-Jama’a (ASJ) militia, approximately 1,000 to 2,000 strong, has its basis in a Sufi umbrella group formed in 1991 to defend traditional Somali Sufi Islam. The movement took to arms in 2008 when the Salafist al-Shabaab movement began to demolish Sufi shrines and the tombs of Sufi masters in the interests of banning the “un-Islamic” practice of “worshipping the dead” (see Terrorism Monitor, April 2, 2010) Two years later the ASJ aligned itself with Somalia’s Transitional Federal Government (TNG), though differences between the movement and then-TFG president Shaykh Sharif Shaykh Ahmad prevented al-Shabaab from obtaining the level of representation in government it felt was its due. The movement found more willing patrons in the Ethiopian military, which has provided it with arms, money and training as well as working alongside it in military operations against al-Shabaab in central Somalia. Under the new Somali government of President Hassan Sheikh Mohamud joint operations with Somali government troops have increased. In order to further cooperation with the government, the ASJ will now open an office in the capital, Mogadishu (Raxanreeb, December 1, 2012). ASJ members now hope to receive the same benefits as members of the national army though the exact method of integration has yet to be announced. Shaykh Mahmud Hasan Farah was re-elected as the chairman of the movement’s executive committee in November (Bar-Kulan Radio [Nairobi], November 21, 2012). Shaykh Mahmud insists that the movement rejects all forms of “clan-ism and tribalism,” but must play some role in the new state: “We are telling the new government that Ahlu Sunnah has no culture of opposing governments and we welcome it, but a government, in which we don’t have someone to represent us cannot purport to represent us. We must have a representative in the government” (Radio Kulmiye [Mogadishu], November 18, 2012). The chairman’s words were echoed by senior ASJ official Shaykh Ali Shaykh Ibrahim: “We ask the government, as Ahlu Sunnah wal Jama’a, to give special consideration to its relationship with Ahlu Sunnah wal Jama’a because Ahlu Sunnah has not taken up arms to fight the government but to defend Islam, after our clerics were killed, our saints tombs desecrated, and our mosques destroyed” (Radio Kulmiye, November 16, 2012). However, it appears that the ASJ is no less fractious than the rest of Somalia, with a number of the militia’s leaders in central Somalia resisting the appointment of Shaykh Mahmud as chairman and the new leadership council in Mogadishu on the grounds that they had not been consulted while their own leadership candidates were not considered (Dayniile Online, November 19, 2012). The movement recently vowed to launch new operations in central Somalia to “remove al-Shabaab remnants from the country” (Gaalkacyo Radio, November 17, 2012; November 24, 2012). Somali intelligence officials believe al-Shabaab has been receiving arms shipments from Libya and Yemen as it organizes a return to guerrilla warfare in rural areas after having been expelled from most of the urban areas it only recently controlled (Raxanreeb.com, November 5, 2012). Though al-Qaeda leader Ayman al-Zawahiri declared jihad in Somalia obligatory on “every Muslim who is capable,” there is growing evidence that many of the foreign fighters in Somalia have left for more promising battlefields in Yemen (AFP, November 6, 2012). Somalia’s Internal Affairs and National Security Minister Abdikarin Husayn Guled has said that the new government is also trying to integrate the southern Ras Kamboni militia into government forces, but at the moment the rift between Ras Kamboni and Mogadishu is growing rather than narrowing (Shabelle Media Network, November 29, 2012). Ras Kamboni organized demonstrations in Kismayo against the new federal government in November that claimed the president was preventing the economic development of the Juba by preventing the export of the charcoal stockpile and called for Mogadishu to leave the creation of a new administration in the Juba region to the eight-nation Inter-Governmental Authority for Development (IGAD) (Dhacdo.com, November 9, 2012). At the center of the dispute was the disposition of some four million bags of charcoal that was stockpiled in Kismayo before al-Shabaab had an opportunity to export it. The charcoal was worth an estimated $25 million to $40 million in Middle Eastern markets (Africa Review [Nairobi], November 4, 2012). Much of the Somali charcoal trade is dominated by businessmen with close ties to al-Shabaab and the trade was a major source of financing for the Islamist militants before they lost Kismayo in September (see Terrorism Monitor, November 18, 2010). The rapid and ongoing deforestation of southern Somalia by the charcoal industry has been described as an “ecocide” and threatens the long-term viability of the entire region. Charcoal exports have long been illegal in Somalia and a further international ban on the Somali trade was imposed by the UN Security Council in February, these measures and an order to temporarily close the port of Kismayo from President Hassan Sheikh Mohamud have all failed at preventing Ras Kamboni and local businessmen from exporting much of the stockpile under the supervision of Kenyan troops belonging to the African Union Mission in Somalia (AMISOM). Nairobi and IGAD both support the continuation of the charcoal trade, the most lucrative industry in southern Somalia. Ras Kamboni fighters shot up much of Kismayo on November 21 in the alleged “pursuit” of an unknown attacker who hurled a grenade at the home of Ahmed Madobe (Bulshoweyn.com, November 21, 2012). Only days later a powerful bomb went off outside a district administration office where Ras Kamboni officials were having a meeting (Mareeg Online, November 25). 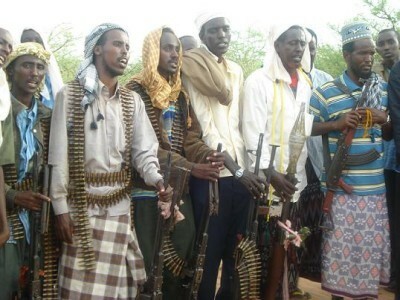 The Ras Kamboni militia was recently identified by Somali MP Abdullahi Hussein Ali as the source of the ongoing robberies and general insecurity that is plaguing Kismayo (Mareeg Online, November 13, 2012). The militia did little to enhance its reputation in Kismayo when it rounded up over 400 residents in an operation designed to catch a few militants by dragging a large net. The operation was defended by Ras Kamboni spokesman Abdinasir Seeraar: “I think there are some [detainees] who have connections with al-Shabaab and some innocents, but how can we know unless we make some arrests and conduct investigations; that’s when we can know who is the Shabaab member and who is not” (BBC Somali Service, November 2, 2012). Ras Kamboni had previously ruled Kismayo jointly with al-Shabaab after the city was taken by the Islamists in 2006. The movement joined the now defunct Hizb al-Islam movement in 2009, but the following year it underwent a split, with one faction formally joining al-Shabaab (see Terrorism Monitor Brief, February 4, 2010). While still an Islamist movement, Ras Kamboni now fights Shabaab extremists under Kenyan patronage. Nairobi views Ras Kamboni as a pliant local partner in its efforts to establish a Nairobi-supported buffer administration named “Jubaland” in southern Somalia under the nominal rule of Mogadishu. The plan has the backing of ethnic-Somali politicians in Kenya who have cross-border clan connections. ASJ has inserted itself into the debate, insisting any effort to form a new administration in the Juba region without consulting them would ultimately fail (Radio Risala, November 19, 2012). There are also persistent rumors that influential Islamist and former Hizb al-Islam leader Shaykh Hassan Dahir Aweys is seeking to abandon al-Shabaab and join the government forces but is being held under close watch by al-Shabaab to prevent his escape (Dhacdo.com, November 23, 2012). Shaykh Aweys merged his movement with al-Shabaab in December 2010. A raid earlier this month on what was described as a Salafi-Jihadist training camp in a remote part of Sudan’s Dinder National Park indicated Sudan’s growing vulnerability to armed Salafist groups ready to take advantage of the Sudan’s deteriorating political conditions. Sudanese sources say 13 individuals were killed and 24 arrested after an eight-hour gun battle in Dinder while others suspects managed to flee into the bush (Sudan Tribune, December 1, 2012; December 3, 2012). 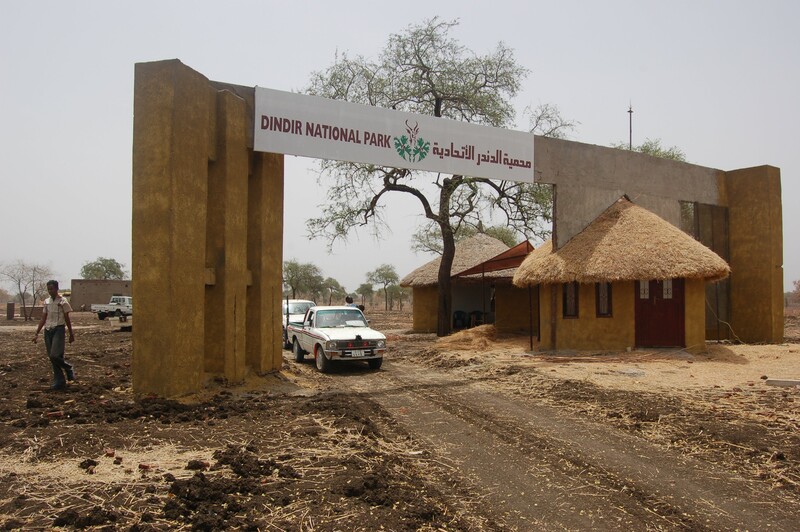 Dinder is a massive national park in Sinnar Province (eastern Sudan), roughly 400 km southeast of Khartoum. Authorities were first alerted to the presence of the militants in October when the latter attacked wildlife police at the Galgu post in Dinder and seized their weapons. The attack was initially believed to have been the work of poachers, but authorities later determined it was the work of Islamist militants running a training camp in Dinder for would-be jihadists bound for Somalia or Mali (Sudan Tribune, December 1, 2012). Sudanese authorities said the suspects belonged to a “Salafist-Jihadist group” and would face charges of murder, incitement and the formation of a criminal network. The detainees were described as university students between the ages of 19 to 25 who were supplied from Khartoum (Sudan Tribune, December 3, 2012). Despite being an imported ideology in the Sudanese context, Salafism has made significant inroads in Sudan’s universities and has steadily gathered more adherents in the larger community, particularly in the capital. Authorities in Sinnar Province said the takfiri group had no known links to al-Qaeda (Akhir Lahza [Khartoum], December 4, 2012). Ahmad Abbas, the governor of Sinnar, said the leader of the group was a chemistry professor, though he declined to name him (Blue Nile TV, December 3, 2012). There was speculation that two young men who tried to attack a prominent Sufi shaykh in Khartoum on December 9 were tied to the Dinder Park extremists (al-Sudani [Khartoum], December 10, 2012). The raid came only days after Khartoum again requested that Sudan be removed from a U.S. list of states sponsoring terrorism, though Washington has been largely unsympathetic to such efforts so far. When South Sudan separated, Khartoum lost most of the oil wealth that once allowed it to ride out U.S. financial sanctions, leaving the regime in Khartoum desperate to find some means of rescuing its faltering economy in the face of growing public dissatisfaction. Though counter-terrorist raids might help restore relations with the United States, Khartoum’s increased military cooperation with Iran works against such restoration.